The triquetra hangs from draped infinity symbols linking various colors of agate. 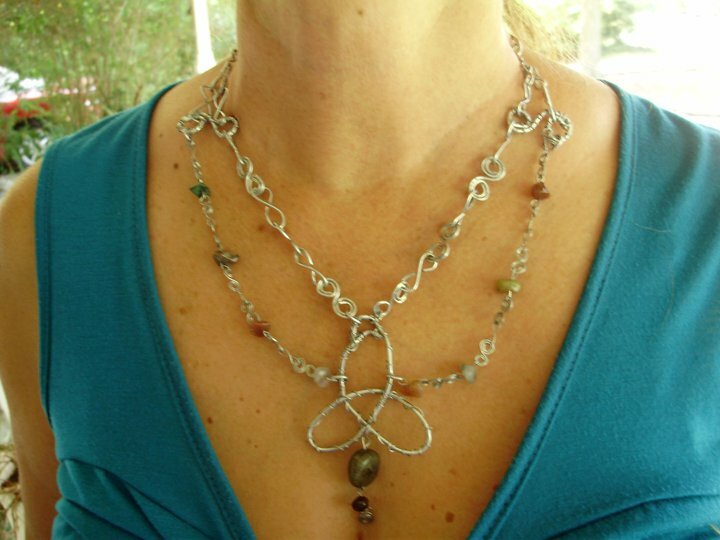 A large labradorite stone and tiny garnet drop from the triquetra to accentuate the neckline. 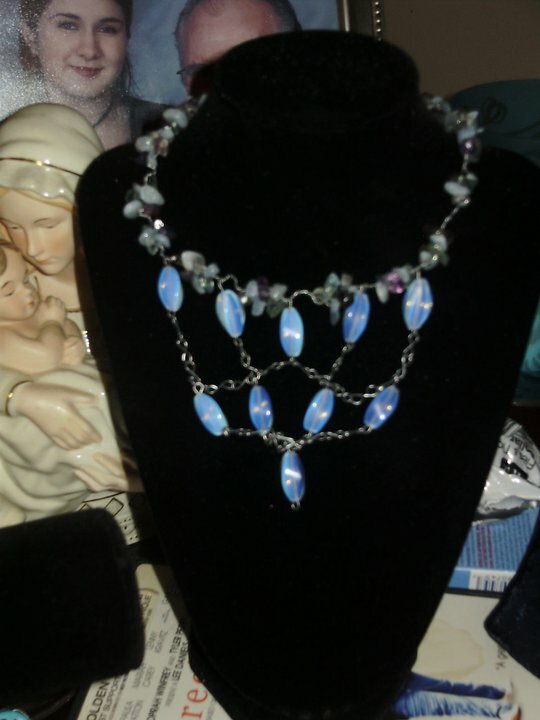 Vines of fluorite and amazonite are draped with glowing moonstone to complete this majestic piece. This is one of my personal favorites. This necklace consists of hand-braided copper into a Celtic weave. A herringbone-woven jade stone adorns this piece. A single emerald gemstone hangs below the pendant. 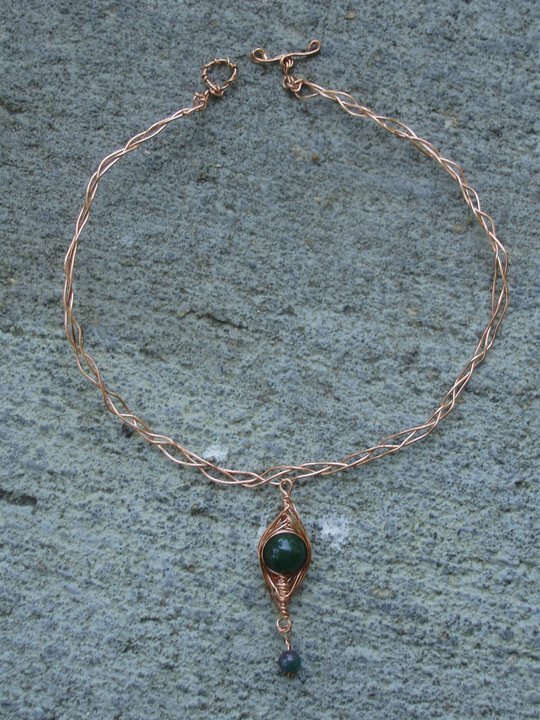 This necklace consists of hand-braided copper into a Celtic weave and a hand-made copper facet. This elegant choker is strong enough to hold any of our pendants. 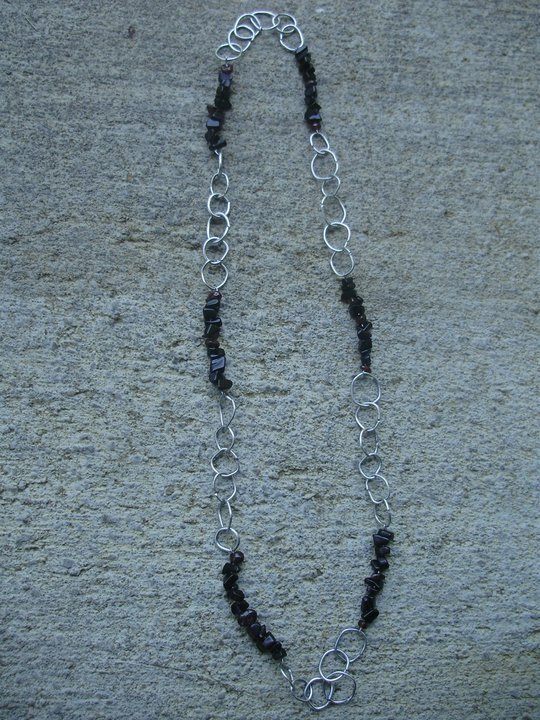 This lengthy necklace is great for layering and adding personal flair to both casual and business outfits. Big steel hoops link with onyx and garnet chips for chic on the dark side. 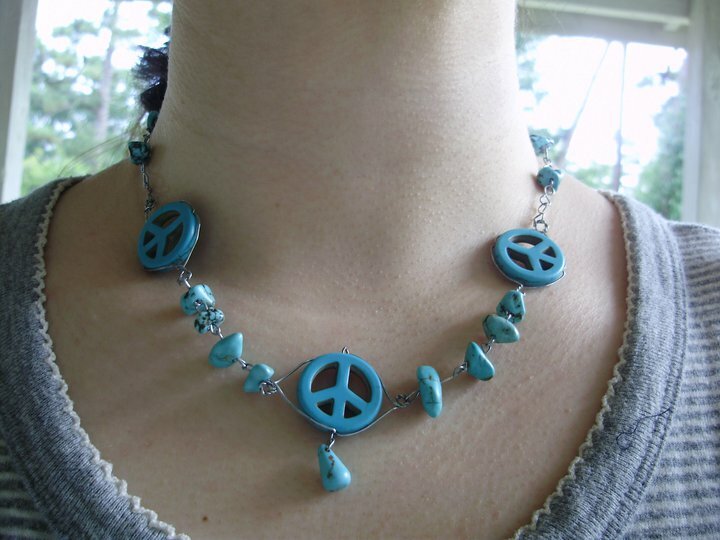 Blue turquoise gemstones hang from blue howlite peace signs with a single turquoise droplet hanging down the middle. This item is perfect for most outfits and is adjustable to fit almost any neckline. 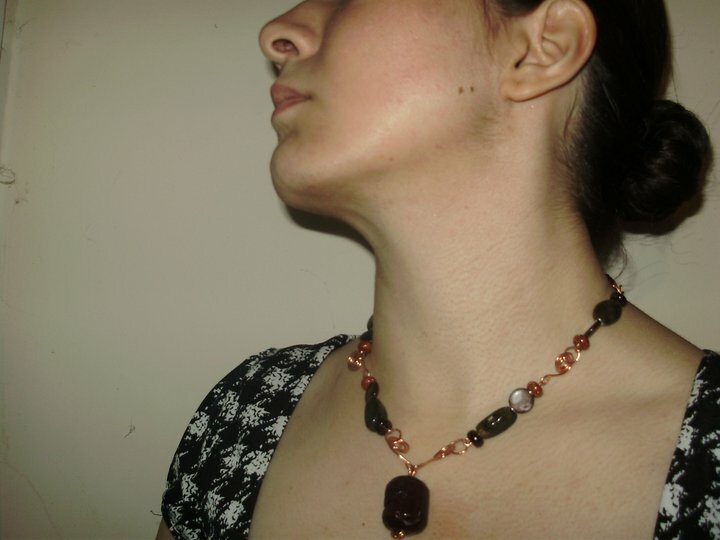 It can be worn high on the neck or low, as shown in the picture.